Made of three-ply absorbent paper with waterproof plastic liner and embossed Greek Key design decorative border. 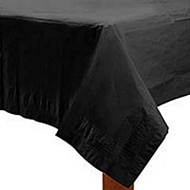 Table cover measures 53" x 108". 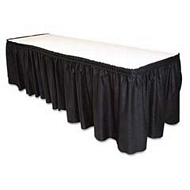 It can fit tables up to 8 feet long, can be easily cut in half to cover 2 square card tables.